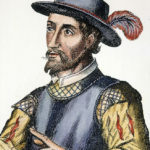 The Florida Keys were sighted by Spanish explorers Ponce de Leon and Antonio de Herrera on Sunday, May 15, 1513. 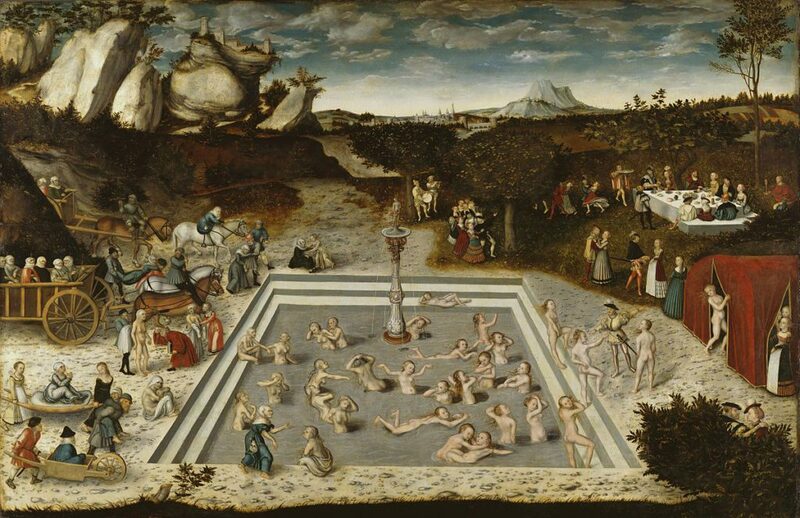 De Leon was searching for treasure and the fountain of youth. Tales of this elusive fountain had circulated for thousands of years and were especially prominent at the time. He had recently been replaced as governor of Puerto Rico by Diego Columbus, son of Christopher Columbus. 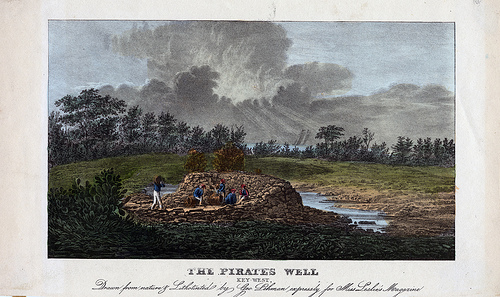 He took the opportunity to explore more of the Caribbean, spurred on by Native Indian tales of the fountain. If he had found it, perhaps he would still be here to tell us about it, but he did find the Florida Keys, which he named Los Martires (The Martyrs), due to the rocks he spotted as he sailed by that looked like suffering men. There doesn’t seem to be a record of de Leon even going ashore. 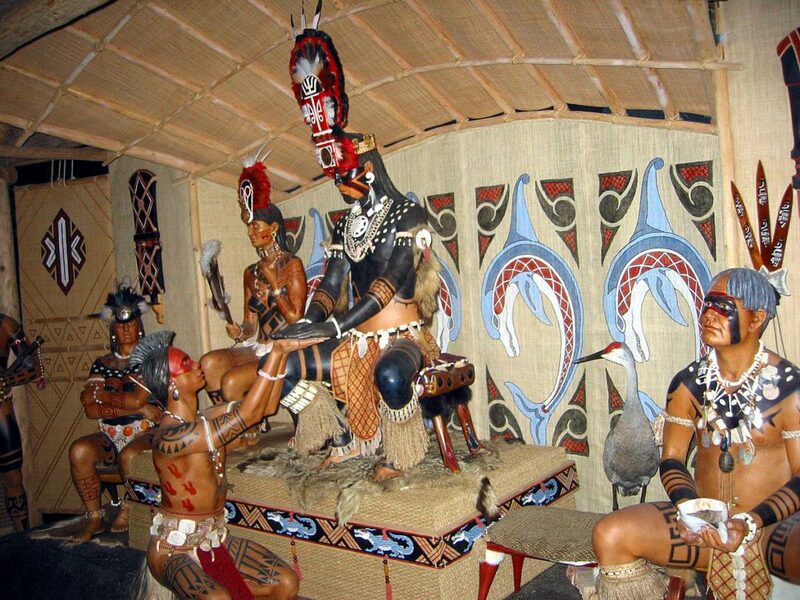 The islands were inhabited by the Calusa and Tequesta tribes. Calusa means ‘fierce people’, and these people have been described as fierce, war-like and ‘not very friendly’. It seems that control of the islands bounced back and forth between the Calusa and the more docile Tequesta. Both tribes had disappeared by the time the British gained control of the territory in 1763, due to disease, attacks from other tribes from the mainland, and the slave trade. 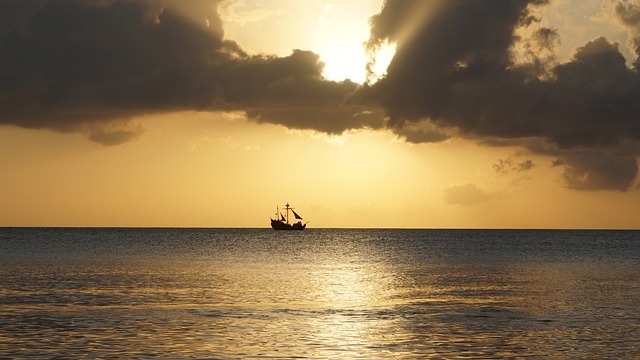 Many of their bones were scattered about the island of Key West, whose name is actually a misnomer, as the Spanish name Cayo Hueso means ‘bone cay’. After their discovery, the Keys were not settled for another 300 years. This left them available to pirates who preyed on the passing ships. One such character was known as ‘Black Caesar’. There are many legends surrounding this man, which vary wildly in the details. He may have been an African war chief who escaped from a slave ship during the chaos of a hurricane. Having befriended a crew member, the two were the only survivors of the storm. They began robbing ships that stopped to help them, and continued to use this scheme to amass a small fortune. He also supposedly kept a harem of around 100 women and had a prison built for his captives. He eventually killed his partner, joined up with the notorious Blackbeard and was hanged for his crimes. Other accounts say he was from Haiti and disappeared around 1830 after burying millions of dollars in treasure on several islands. In the year 1822, settlers began to arrive in the Keys after Florida became a territory of the United States. The settlers established key lime groves, pineapple farms, and cultivated tamarind and breadfruit. On Big Pine Key, a shark processing factory made shark skins into a tough leather known as ‘shagreen’. Cigar factories were established on Key West, and a sponge harvesting industry began to thrive. The industry that made Key West the wealthiest city in the USA for a time, was the ‘wrecking industry’. The Keys were strategically located along a busy shipping channel where a steady stream of Spanish galleons returning to Spain with precious cargo from Central America regularly passed by. Unfortunately for them, many of the ships crashed into rocks near the islands and sank. Some say that they were deliberately lured to the rocks. In any event, it has been claimed that at the time as many as 1 or 2 wrecks occurred in a week! The ‘wreckers’ would then salvage goods from the shipwrecks. A railroad was built connecting the Keys with the mainland by Henry Flagler in the 1910s, which made access to and from the Keys significantly easier. Things were going very well until the great depression, which resulted in bankruptcy for Key West. Even worse, the Labor Day Hurricane of 1935, one of the worst hurricanes ever, hit the islands as a category 5 hurricane with winds of 200 miles per hour. Between 400 and 600 deaths were reported and by some accounts up to 800. Much of the railroad was destroyed. 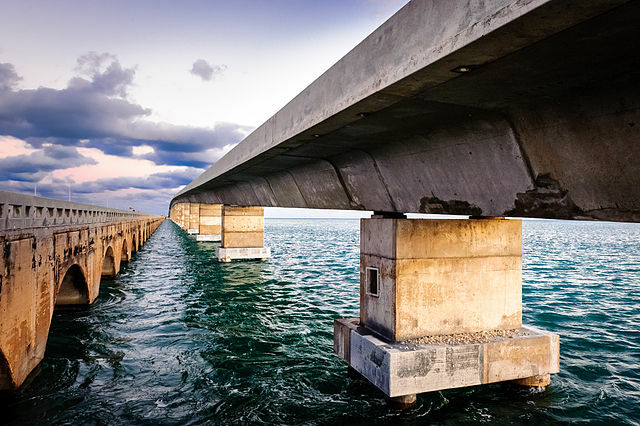 In 1938, the Overseas Highway was completed, incorporating much of the original railroad route and bridge structure. 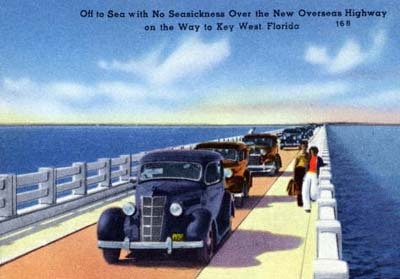 Notably the Seven Mile Bridge, connecting Knight’s Key to Little Duck Key, was one of the longest bridges in existence when it was built. It was replaced by a newer one in 1982, which runs parallel to it, but the older one is still accessible for fishing and is the location of an annual fun run marathon. 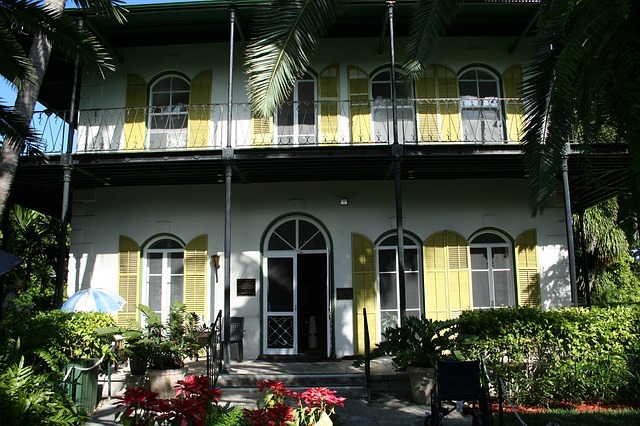 Key West was home to authors Ernest Hemingway, whose house was purchased by his wife’s uncle in 1931, and Tennessee Williams, who bought a house there in 1949. President Harry Truman also had a house on the island which became known as the winter White House. 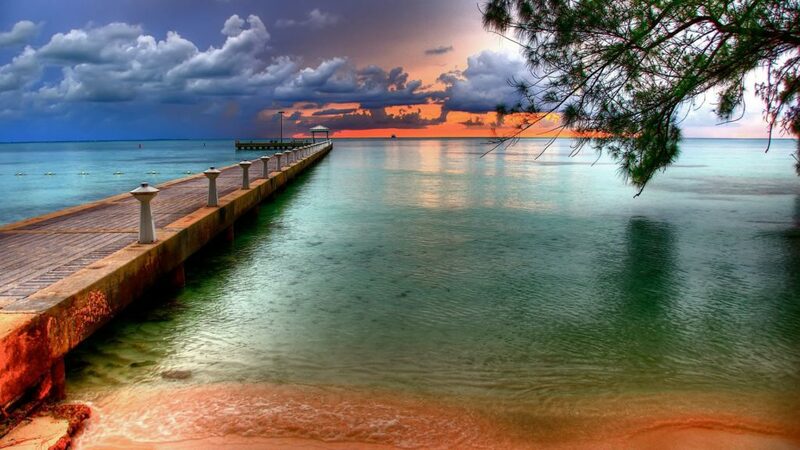 Key West was also an important submarine base during World War II. In 1949, shrimp harvesting became profitable, but the tourism industry, without a doubt is what contributes most to the thriving economy, employing over 50% of the workforce. Watersports, nightlife, beaches, sunsets, the Hemingway House and much more draw ever increasing crowds. In 1982, the US Border Patrol set up inspection points on the north bound highway to search for drugs and illegal aliens. The checkpoints became a major impediment to the tourism industry. After many complaints and attempts to have the checkpoints removed, Mayor Dennis Wardlow succeeded in having them eliminated by pulling off a major publicity stunt. 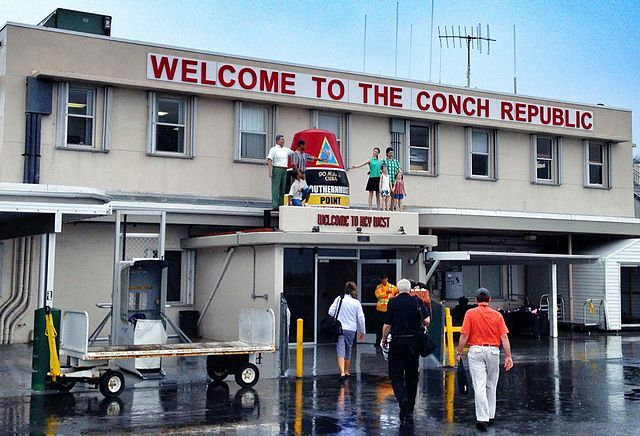 On April 23, 1982, he declared independence for Key West, naming it the Conch Republic. After one minute of secession, he surrendered to a naval officer, while requesting one billion dollars in foreign aid. 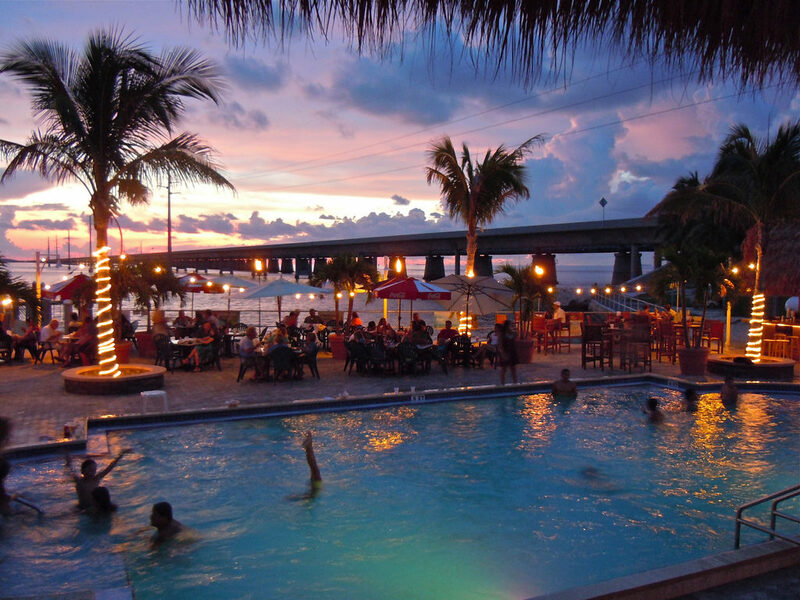 The publicity caused the roadblock to be removed, and residents have continued to embrace the Conch Republic tradition.